In case you’ve been living in a cave (pun intended), you’d know that Manila is currently experiencing a terrible water shortage, specifically in the eastern area of the metro. This is due to the low quantity of water from the dams where local water companies (Manila Water and Maynilad) get their supply from. As it is almost summer on this side of the world, it will surely take quite a while to refill the dam with rainwater, given that the country encounters rain in the months of June until September. More than just a city problem, this is obviously a big environmental crisis that not only Manila but other parts of the world are facing right now, and we must do our part to be responsible humans living on this (very fragile) planet before it’s too late. As everyone in Manila knows, we are experiencing a water crisis. Specifically in the eastern area of the metro. This is so because of the low supply of water from the dams that the water company gets their supply from. As it is almost Summer, it will take quite a while to refill the dam with rainwater – The Philippines expect rain in the months of June until September. We can say that this is a big environmental problem as well, that’s why it’s very important to always try to be eco-friendly, not just in your own home, but wherever you travel. Bro tip: You can also save water by showering together. LOL. That way you can conserve water. But if you must, scrub and do more bathing – don’t forget to turn off the shower when you are soaping, scrubbing and putting on shampoo and just turn it back on when you are about to rinse. 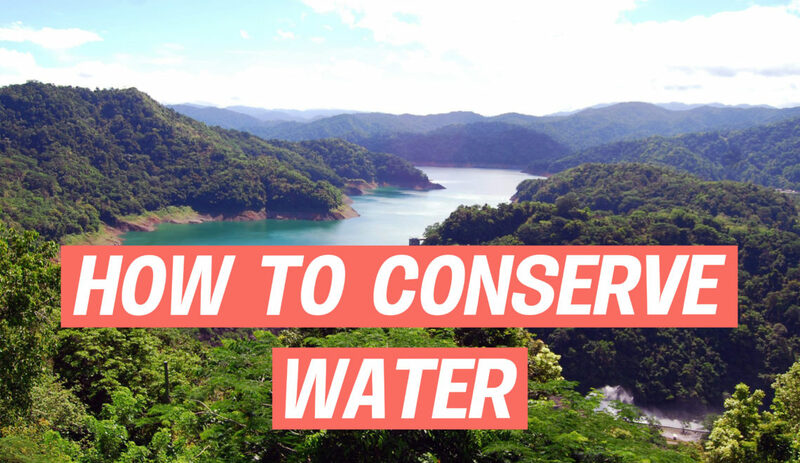 Another way to conserve is to use a tub of water instead of an on-going shower head. We tend to overlook leaving the sink on when we’re brushing our teeth, washing our face or washing the dishes—especially if you’re staying in an Airbnb or hotel, thinking that you’re not paying for the water bill right? But it’s time to change that mindset and embrace the eco-friendly way of traveling, bear in mind that water supply may not be scarce now, but it will be in the future. So always remember not to keep the water running, when it doesn’t have to. There are pieces of clothing that are alright to reuse, like your shorts and jeans. As long as you don’t stain them or have the habit of sitting in really dirty places, you can reuse them for sure. Also, when you’re traveling to a place for less than a week, you can opt to pack just one pair of sleepwear. This way you can save laundry time by doing it just about once or twice a month because you won’t run out of clothing by reusing some items. If you are boiling some food items, you don’t necessarily have to throw the water and replace it to boil something else. Learn to reuse the water, because then again you get the water from tap. Don’t forget to help the environment in any way you can. What are you ways on conserving water? Let us know below.